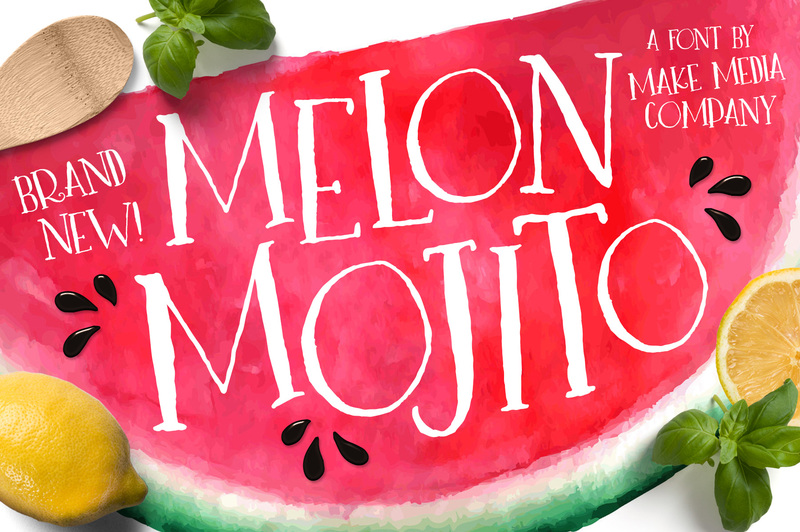 Melon Mojito is a delightful and fun summer script font pack created and published by Callie Hegstrom of Make Media Co., a renown “coffee enthusiast and lettering junkie” Colorado (US) based designer. Consisting of Mellon Mojito, a juicy, irregular display font, Texas Toast, a free bonus rounded script font plus 80 hand drawn vectors (AI & EPS) designed to compliment each other perfectly for summer designs. You gonna love Melon Mojito! A font description published on Tuesday, June 21st, 2016 in Callie Hegstrom, Fonts, MakeMediaCo. by Andrei that has 2,445 views.